Hong Kong's initial public offering (IPO) market experienced a decline in 2017 owing to a lack of blockbuster IPOs. The Hong Kong Stock Exchange (the SEHK) was ranked third in the global IPO market in 2017, after the New York Stock Exchange and the Shanghai Stock Exchange, with 174 new listings and raising a total of US$16.4 billion IPO funds. To strengthen Hong Kong's competitiveness in the global equity and debt capital markets, The Stock Exchange of Hong Kong Limited (HKEx) and the Hong Kong government introduced various proposals during the first half of 2018, aiming to attract a wider range of enterprises to issue equity and debts in Hong Kong, for example by allowing the listing of companies with weighted voting rights (WVR) structures, and by introducing a bond grant scheme that targets first-time bond issuers. In December 2017, the HKEx issued a new board concept paper, inviting the market to provide feedback on the proposed establishment of a New Board to broaden capital markets access in Hong Kong by opening up to a more diverse range of issuers, in particular companies with a dual class share structure and pre-profit biotech companies (the New Board Consultation). The New Board Consultation concluded in December 2017, when the HKEx decided to achieve its objectives by expanding the current Main Board regime instead of creating a new board, by introducing amendments and new chapters to the Rules Governing the Listing of Securities on the Main Board of the HKEx (the Hong Kong Listing Rules). Shortly after the conclusion of the New Board Consultation, the HKEx published a Consultation Paper on The Listing Regime for Companies from Emerging and Innovative Sectors, proposing amendments to the Hong Kong Listing Rules to allow the listing on the Main Board of the SEHK of (1) high-growth and innovative companies that have WVR structures, (2) biotech companies that do not meet any of the financial eligibility tests, including companies that do not have any prior record of revenue or profit, and (3) qualifying issuers seeking a secondary listing on the SEHK. Secondary listings of qualifying issuers (Chapter 19C). Below is summary of the key requirements for companies seeking a listing pursuant to the new regime. 'Innovative companies' (which generally refer to companies focusing on the application of new technology, with a significant research and development element and intellectual property as a contributing factor to their success) would be eligible to apply for a listing with a WVR structure. Other than the existing listing requirements, an applicant needs to satisfy certain additional criteria, including a higher threshold of market capitalisation, and is required to receive a meaningful investment from at least one sophisticated investor, which shall remain as an initial public offering (IPO) and be subject to certain lock-up undertakings. WVR beneficiaries must collectively own at least 10 per cent of the economic interest in the applicant's total issued share capital at listing, shall only be persons who have been materially responsible for the growth of the business, and shall be directors of the issuer at the time of listing. the proportion of shares carrying WVR cannot be increased to a level higher than that at the time of listing. Moreover, listed issuers will be subject to additional requirements relating to the corporate governance of the listed issuer, including (1) certain fundamental matters (e.g., changes to constitutional documents, variation of rights attaching to any class of shares) must be voted on the basis of one vote per share, (2) the establishment of a corporate governance committee comprised entirely of independent non-executive directors, (3) the engagement of a compliance adviser on a permanent basis, and (4) enhanced disclosure regarding its status as a company with dual class shares. Following its launch in April 2018, several innovative companies with WVR structures have already submitted their listing applications under the new regime, including Xiaomi Corporation (SEHK), which completed its listing in July and is the first company listed with a WVR structure, and China's restaurant and delivery giant Meituan Dianping, which is expected to list in September 2018. A biotech company eligible to apply for listing shall be a company primarily engaged in the research and development, application and commercialisation of biotech products, processes or technologies. Other than the existing listing requirements, an applicant needs to satisfy certain additional suitability requirements, including (1) having a minimal expected market capitalisation of HK$1.5 billion at listing, (2) development of at least one core product having met certain developmental milestones, (3) engagement in research and development for the purposes of developing its core products for at least one year prior to listing, and (4) having available working capital to cover at least 125 per cent of the group's costs for at least the next 12 months. Similar to innovative companies with WVR structures, a biotech listed issuer will be subject to additional continuing obligations after listing, including enhanced disclosure requirements and risk management measures until it can demonstrate that it is able to satisfy one of the financial eligibility tests. The new Chapter 19C of the Hong Kong Listing Rules aims to create a new concessionary route for innovative companies listed on a qualified exchange to seek secondary listing in Hong Kong. A company applying for secondary listing under this route should have a good record of compliance for at least two full financial years in its home market and have an expected market capitalisation of at least HK$10 billion at the time of its secondary listing in Hong Kong (and in the case of an applicant with a WVR structure or that is a Greater China issuer (or both), a market capitalisation of at least HK$40 billion, or a market capitalisation of at least HK$10 billion and revenue of at least HK$1 billion in its most recent audited financial year). Qualifying issuers will automatically be granted waivers that the SEHK would currently grant to eligible secondary listed companies, such as notifiable and connected transactions and the Corporate Governance Code. In recent years, there has been an increasing demand for shell companies for backdoor listings, which has led to a substantial increase in the value of listing status on the SEHK. As a result, there has been more shell creation activity on the market involving the listing of new applicants whose sizes and prospects do not appear to justify the cost or purpose associated with a public listing, and listed issuers taking corporate actions to substantially scale down their original businesses, leaving behind very small operations for the purpose of meeting the continuing listing obligations. These activities can lead to opportunities for market manipulation, insider trading and unnecessary volatility in the market, which could undermine investors' confidence and overall market quality. The HKEx has conducted a number of reviews and published various guidance letters and listing decisions during the past few years, with a view to improving the regulation of backdoor listings and shell activities. renaming the existing 'extreme VSAs' under the Hong Kong Listing Rules as 'extreme transactions', and the introduction of additional requirements on listed issues carrying out extreme transactions, including that the listed issuer (1) has been operating a principal business of a substantial size (i.e., with an annual revenue or total asset value of HK$1 billion or more), which will continue after the transaction, or (2) has been under the control of a large business enterprise for not less than three years and the transaction forms part of a business restructuring of the group and would not result in a change of control. The consultation concluded on 31 August 2018, and a consultation conclusions paper is expected to be published in due course. In May 2018, the HKEx announced the consultation conclusions to its consultation paper on delisting and other rule amendments, which set out proposals to amend the Hong Kong Listing Rules to address the issue of prolonged suspension of trading in the listed securities of issuers. The amendments took effect from 1 August 2018. Major amendments to the Hong Kong Listing Rules include adding a separate fixed period criterion that allows the SEHK to delist a listed issuer after a continuous suspension of 18 months. Under the new regulatory framework, the SEHK can (1) publish a delisting notice and specify a period within which the issuer may remedy the issues or be delisted, or (2) delist the issuer immediately in appropriate circumstances. It is expected that the new delisting framework will reduce the number and duration of prolonged suspensions of trading of issuers' listed securities and effectively prevent prolonged suspensions from depriving shareholders of the ability to trade securities. Launched in July 2017, Bond Connect is a significant milestone in deepening the mutual market access between mainland China and Hong Kong through the connectivity established between the financial infrastructure institutions in mainland China and in Hong Kong. Currently, only northbound trading has commenced, allowing international investors from Hong Kong and other regions to invest in the China interbank bond market through mutual access arrangements in respect of trading, custody and settlement. Southbound trading, which would allow investors in mainland China to trade in major overseas over-the-counter (OTC) bond markets, will be explored at a later stage. In May 2018, the Hong Kong Monetary Authority (HKMA) announced the details of a three-year Pilot Bond Grant Scheme5 (PBGS) as promulgated in the 2018–2019 Budget. The PBGS aims to enhance Hong Kong's competitiveness and accelerate development of the bond market by encouraging local, mainland China and overseas enterprises that have not issued bonds in Hong Kong during the five-year period between 10 May 2013 and 9 May 2018, to issue bonds in Hong Kong for the first time. An eligible issuance under the PBGS must satisfy the following criteria: (1) being issued in Hong Kong, (2) having an issuance size of at least HK$1.5 billion, (3) being lodged with and cleared by the Central Moneymarkets Unit operated by the HKMA in its entirety, or being listed on the SEHK, and (4) being, at issuance, issued to 10 or more persons, or fewer than 10 persons, none of whom is an associate of the issuer. The PBGS provides a grant amount equivalent to half the eligible issuance expenses, up to a cap of (1) HK$2.5 million if the bond, its issuer or its guarantors possess a credit rating by a rating agency recognised by the HKMA, or (2) HK$1.25 million in any other cases. Each issuer can apply for the grant for up to two bond issuances. The PBGS is expected to became effective as soon as Hong Kong's Legislative Council passes the 2018–2019 Budget. The Green Bond Grant Scheme (GBGS) was also promulgated in the 2018–2019 Budget. Under the GBGS, eligible green bond issuers will be subsidised in obtaining certification under the Green Finance Certification Scheme established by the Hong Kong Quality Assurance Agency, up to a maximum of HK$800,000 per bond issuance. Both first-time and repeated issuers with green bonds issued and listed in Hong Kong are welcome to apply for the grant as long as the bond issuance size is at least HK$500 million. The 2008 global financial crisis highlighted the importance of regulating the OTC derivatives market. In furtherance of this, the Securities and Futures (Amendment) Ordinance 2014 was enacted on 26 March 2014 to provide a regulatory framework for OTC derivatives transactions in Hong Kong. Under this framework, prescribed persons, which include authorised institutions, licensed corporations and approved money brokers, are required to report certain OTC derivative transactions to the HKMA and retain records of certain OTC derivative transactions. The SFC and the HKMA are jointly responsible for overseeing the OTC regulatory regime. The HKMA will have similar, if not the same, investigative and disciplinary powers as those of the SFC against contraventions of any reporting obligations, clearing obligations, trading obligations or record-keeping obligations in connection with OTC derivative activities. The HKMA will be responsible for regulating authorised institutions and approved money brokers, while the SFC will be responsible for regulating licensed corporations and other prescribed persons. On 30 September 2015, the HKMA and the SFC issued a joint consultation paper inviting the public to comment on their proposed next steps in the OTC regulation regime, these being Phase I clearing (mandatory clearing of certain derivative trades) and Phase II reporting (an expansion of the current mandatory reporting requirement to cover all OTC derivative products, requiring the reporting of a wider range of information about the transaction). The first phase of mandatory reporting requirements (i.e., Phase I reporting) came into effect on 10 July 2015 under the Securities and Futures (OTC Derivative Transactions – Reporting and Record Keeping Obligations) Rules8 (the Reporting Rules). The Reporting Rules set out the reporting obligations for non-deliverable currency forwards and certain interest rate swaps. exempting from the clearing obligation certain transactions resulting from a multilateral portfolio compression cycle conducted by a third party. excluding from the reporting obligation foreign exchange forwards that are entered into for the purposes of buying or selling securities in a foreign currency and that are settled within the settlement cycle for the securities. Further guidance is provided on the scope of Phase II reporting and how to complete specific data fields. The concept of a 'financial services provider' now refers to a list of specific entities that meet certain criteria for the purposes of mandatory clearing. If a transaction involves private individuals, the reporting counterparty should provide internal code references identifying those persons. The subsidiary legislation for Phase I clearing came into effect on 1 September 2016. The subsidiary legislation for Phase II reporting came into effect on 1 July 2017. To accommodate the introduction of the OTC regulatory regime, the SFC published a consultation paper in November 2015 that amends the Guidelines for the Regulation of Automated Trading Services (the ATS Guidelines). The consultation conclusions of the proposed amendments were published in March 2016, and the revised ATS Guidelines came into effect on 1 September 2016, the same time as Phase I clearing was being implemented. to exclude Delta One Warrants from the definition of OTC derivative product pursuant to Section 392(1)(b)(vii) of the SFO. It gives the holder the right to purchase the underlying assets. Its strike price is set as zero or close to zero. Its underlying subject matter (as defined in Section 101A of the SFO) may be anything. It is transferable, and there is no restriction or limitation to the effect that the warrant can only be transferred or sold to the issuer. It is documented in the form of a warrant and not concluded by a confirmation made under an ISDA master agreement (published by the International Swaps and Derivatives Association). adopting a trading determination process for introducing a platform trading obligation. On 27 June 2018, the HKMA and the SFC released joint conclusions to the consultation paper. With effect from 1 April 2019, the mandatory use of LEIs will only apply to entities subject to the Hong Kong OTC derivatives reporting regime. Specified standardised interest rate swaps denominated in Australian dollars will be added to the clearing obligation and the list of financial services providers will be updated. On 19 June 2018, the SFC issued a consultation paper on margin requirements for non-centrally cleared OTC derivatives transactions. The primary objectives of the proposed requirements are to reduce systemic risk and promote central clearing by imposing costs on non-centrally cleared OTC derivative transactions. Under the proposals, a licensed corporation that is a contracting party to a non-centrally cleared OTC derivative transaction entered into with a financial institution, a licensed corporation or another defined entity, would be required to exchange margins with the counterparty if the notional amount of the outstanding non-centrally cleared OTC derivatives exceeds specified thresholds. It is also specified in the consultation paper that the instruments that would be subject to the proposed margin requirements and the assets are eligible as margins. The margin requirements proposed in the consultation paper are expected to be reflected in a new Part II of Schedule 10 to the Code of Conduct for Persons Licensed by or Registered with the Securities and Futures Commission. The new open-ended fund companies (OFC) regime came into effect on 30 July 2018, enabling investment funds to be established in corporate form in Hong Kong. An OFC is an open-ended collective investment scheme structured in corporate form with limited liability and variable share capital, the main purpose of which is to serve as an investment fund vehicle and manage investments for the benefit of its shareholders. the Code on Unit Trusts and Mutual Funds and the Overarching Principles in the Securities and Futures Commission Products Handbook (applicable only to publicly offered OFCs). The SFC is the primary regulator responsible for the registration and regulation of OFCs under the SFO, while the Hong Kong Companies Registry (CR) is responsible for the incorporation and statutory corporate filings of OFCs. Directors: An OFC must have at least two directors, at least one of whom must be an independent director. A director of an OFC must be a natural person aged 18 or above who is not an undischarged bankrupt. In other words, a body corporate cannot be a director of an OFC. Any non-resident director must appoint a process agent. Directors must delegate investment management functions to the investment manager by an investment management agreement. Investment manager: An investment manager of an OFC (1) must be registered or licensed for Type 9 (asset management) regulated activity and (2) must be and remain fit and proper, at and after the registration of the OFC. The investment manager will undertake the investment management functions of the OFC according to the instrument of incorporation and investment management agreement. Custodian: All the scheme property of an OFC is required to be held by a custodian. A custodian of an OFC also bears a statutory duty to take reasonable care, skill and diligence to ensure the safe-keeping of the entrusted property of the OFC. A process agent must be appointed for any non-Hong Kong custodian. Company name: The SFC is responsible for the review and approval of OFCs' company names. Generally, the name of an OFC is required (1) to end with 'Open-ended Fund Company' or 'OFC' for its English name and with '開放式基金型公司' for its Chinese name, (2) not to be misleading or otherwise undesirable, and (3) not to be the same as an existing OFC. An OFC must not change its name, unless otherwise approved by the SFC. Registered office: The registered office of an OFC must be located in Hong Kong. Offering documents: All offering documents of OFCs, whether public or private, must comply with the disclosure requirements stipulated under the OFC Code. For public OFCs, the offering documents must comply with the SFC Products Handbook. For private OFCs, an offering document must also disclose the investment scope and restrictions. A private OFC must also file the offering document with the SFC after its issuance as soon as practicable and, in the event of any changes, file the revised offering document with the SFC within seven days of the date of issuance. An OFC is not subject to the restrictions on capital reduction and distribution out of capital under the Companies Ordinance (CO).12 An OFC is also not required, among other matters, (1) to deliver annual returns to the CR, (2) to appoint a company secretary, or (3) to report share capital information to the CR. An applicant only needs to deliver to the SFC all documents and fees required for incorporation and business registration by the CR and the Inland Revenue Department (IRD). The CR will register the relevant documents and issue both a 'Certificate of Incorporation of Open-ended Fund Company' and a 'Business Registration Certificate' (on behalf of the IRD) after approval is given by the SFC for registration of the OFC. On 8 December 2017, the Court of First Instance made a decision in Tang Hanbo v. SFC and others13 dismissing a challenge against the search warrant obtained by the SFC for an investigation into suspected breaches of the Takeovers Code and suspected offences under the SFO.14 The Court also upheld the SFC's subsequent decision to share the information seized during the search with the China Securities Regulatory Commission (CSRC). The case involved an individual who was under separate investigations by the SFC and the CSRC. At CSRC's request, the SFC informed the CSRC about the materials seized during the search, arranged for the CSRC officers to inspect materials that were relevant to the CSRC's investigation against the individual, and sent certain seized materials to the CSRC. The CSRC eventually issued a penalty notice against the individual on the basis of the materials disclosed by the SFC. The Court referred to the International Organisation of Securities Commissions Multilateral Memorandum of Understanding and the Memorandum of Understanding between the CSRC and the SFC on Strengthening of Regulatory and Enforcement Cooperation under Shanghai-Hong Kong Stock Connect, which empower the SFC, in appropriate circumstances, to exchange information and intelligence with other securities regulators with a view to assisting the latter in their investigations. This case highlighted the increasing cross-boundary cooperation between the SFC and the CSRC. On 6 February 2018, the Court of First Instance ruled in SFC v. Qunxing Paper Holdings Co Ltd and others15 that Qunxing Paper Holdings Company Limited (Qunxing), its former chairman and vice chairman (Mr Zhu Yu Guo and Mr Zhu Mo Qun) and its subsidiary, Best Known Group Limited, (collectively, the defendants) should compensate investors who subscribed for Qunxing shares in its IPO or purchased them in the secondary market between 2007 and 2011.16 The defendants were found to have disclosed false or misleading information in Qunxing's IPO prospectus in 2007 and its results announcements between 2007 and 2011 by materially overstating its turnover and understating its bank borrowings. By applying a purposive construction to Section 213 (Injunctions and Orders) of the SFO, the Court affirmed the flexibility and width of this statutory power. People who had directly or indirectly been knowingly involved in the matters (whether or not he or she was a counterparty to the impugned transaction) could fall within the purview of the provision. The SFC was also not required to prove all the requirements of a private law cause of action of deceit in the case of each investor in the action. A significant implication is that the SFC may take advantage of Section 213 to seek civil redress on behalf of and for the benefit of investors of listed companies. On 8 June 2017, the Court of Appeal in Moody's Investors Service Hong Kong Limited v. SFC17 affirmed the Securities and Futures Appeals Tribunal's (SFAT) decision to uphold the SFC's disciplinary action in relation to a special comment report published by Moody's in 2011.18 The report, entitled 'Red Flags for Emerging-Market Companies: A Focus on China', was released to subscribers of Moody's and was available for sale on its website in July 2011. 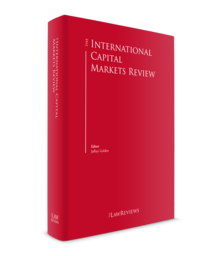 It contained traditional credit ratings with regard to certain Chinese companies with a 'red flag' framework, and had a substantial effect on the market upon its publication. The SFAT held that Moody's was carrying on its regulated activity of providing credit rating services on the basis that the preparation and publication of the report was part and parcel of its credit rating business. The Court of Appeal upheld this decision, and reaffirmed the SFC's jurisdiction over Moody's in this regard. This case, and a ruling concerning Citron Research in early 2017,19 serves as a strong reminder that any person, whether licensed or not, who makes serious allegations about listed companies should be reasonably prudent in making them. The SFC took regulatory action following concerns that Black Cell Technology Limited (Black Cell) had engaged in potential unauthorised promotional activities and unlicensed regulated activities. Black Cell was found to have created a website to promote an initial coin offering (ICO) to sell digital tokens to investors through the website, which would be accessible by the Hong Kong public, with the pitch that the ICO proceeds would be used to fund the development of a mobile application and that holders of the tokens would be eligible to redeem equity shares of Black Cell. The SFC considered such an arrangement may constitute a collective investment scheme under the SFO in the circumstances. As a result, Black Cell's ICO was brought to a halt and the company agreed to unwind the ICO transaction by returning the relevant tokens to the investors.20 The SFC advised that investors should exercise extra caution and seek professional opinion before joining an ICO. the purpose of the arrangement is for participants to participate in or receive profits, income or other returns from the acquisition or management of the property. On 17 May 2018, the SFC reprimanded and fined Citigroup Global Markets Asia Limited (Citi) HK$57 million for its failure to conduct adequate and reasonable due diligence on customers of Real Gold Mining Limited (Red Gold).21 For example, Citi conducted all customer interviews by telephone using telephone numbers provided by Real Gold, without independently verifying the identities and contact details of the representatives of the customers. The SFC also found that Citi had failed to properly supervise its staff when carrying out the sponsor work on Real Gold's listing application. For instance, the due diligence work conducted on Real Gold's customers was handled by junior and inexperienced staff members of Citi with little supervision. Citi's full cooperation with the SFC to resolve the SFC's regulatory concerns. On 29 March 2018, the Inland Revenue (Amendment) (No. 3) Ordinance 2018 was gazetted to implement a two-tier profits tax system, which is applicable to years of assessment commencing on or after 1 April 2018 (i.e., from the year of assessment 2018–2019). Under the two-tier system, the profits tax rate for the first HK$2 million of profits of enterprises will be lowered to 8.25 per cent, or half the standard profits tax rate. Profits above HK$2 million will continue to be subject to the standard tax rate of 16.5 per cent. As for unincorporated businesses (i.e., partnerships and sole proprietorships), the two-tier tax rates will correspondingly be set at 7.5 per cent and 15 per cent. In addition, to encourage enterprises to invest in research and development, the first eligible research and development expenditure will enjoy a 300 per cent tax deduction, with the remainder at 200 per cent. A tax-paying corporation or unincorporated business may save up to HK$165,000 and HK$150,000 each year, respectively. To ensure that the tax benefits will target small and medium enterprises, the application of the two-tier rates is restricted to only one enterprise nominated from connected entities. IRO Amendment No. 6 codified the arm's-length principle such that enterprises operating in Hong Kong would be required to transact with their associated enterprises at arm's length under the elaborated rules and requirements. The new rule concerning arm's-length principle empowers the IRD to adjust the profits or losses of an enterprise when the actual provision made or imposed between two related parties departs from the provision that would have been made between independent persons and has created a tax advantage. not serving a tax avoidance purpose. The rule will apply retrospectively to years of assessment beginning on or after 1 April 2018. Pursuant to IRO Amendment No. 6, a person who is not resident in Hong Kong but has a permanent establishment in Hong Kong is to be regarded as carrying on a trade, profession or business in Hong Kong for the purposes of charging profits tax. As such, the income or loss attributable to the permanent establishment will be determined by treating the permanent establishment as a separate and distinct entity. This rule will apply to years of assessment on or after 1 April 2019. A grandfathering provision is also provided in IRO Amendment No. 6, whereby transactions effected or income accrued before 13 July 2018 will not be subject to the newly enacted transfer-pricing rules. A three-tier transfer pricing documentation requirement has been introduced under IRO Amendment No. 6, consisting of (1) Master File, (2) Local File and (3) Country-by-Country Report (CbC Report). The newly introduced three-tier approach requires an enterprise to articulate consistent transfer pricing position and provide the tax administration with useful information for assessing transfer pricing risks. for other transactions, the annual amount not exceeding HK$44 million. If a Local File is not required to prepare for all the above categories of related-party transactions in a specified accounting period, the taxpayer is not required to prepare the Master File for that accounting period. This rule applies to accounting periods beginning on or after 1 April 2018. A Hong Kong ultimate parent entity (UPE) of a multinational enterprise group is required to file a CbC Report with the IRD if the prior year's annual consolidated group revenue is not less than HK$6.8 billion. The primary obligation of filing a CbC Return is on the UPE and not on any other constituent entities resident in Hong Kong. The deadline for filing a CbC Report is usually 12 months (subject to exceptions) after the end of the relevant accounting period. The multinational enterprise group may authorise a constituent entity of the group as its surrogate parent entity (SPE) to file the CbC Report on behalf of the group, and the CbC Report shall be filed by the SPE in Hong Kong or a jurisdiction that has an exchange arrangement with Hong Kong in place. Every Hong Kong constituent entity will be required to make a notification to the IRD containing information relevant for determining the obligation for filing a CbC Return within three months of the end of the relevant accounting period. If a multinational enterprise group has more than one Hong Kong constituent entity, a Hong Kong constituent entity is not required to make a notification provided that it is not the entity that is required to file a CbC Report and another Hong Kong constituent entity has already made the notification. The CbC Report requirement applies to accounting periods beginning on or after 1 January 2018. Deeming provision on income from intellectual property: If any value creation contributions (including development, enhancement, maintenance, protection or exploitation of an intellectual property) is made by a Hong Kong taxpayer and the income is derived by a non-Hong Kong resident who is an associate of that Hong Kong taxpayer from the use of or a right to use the intellectual property outside Hong Kong, the part of the income attributable to the value creation contributions in Hong Kong will be regarded as a taxable trading receipt arising in or derived from a trade or business carried on in Hong Kong. This rule will apply to years of assessment beginning on or after 1 April 2019. Rule relating to the valuation of trading stock: If a Hong Kong taxpayer changes its intention in relation to trading stock (e.g., by transferring an inventory item from the trading account to the capital account, or vice versa), the market value at the time of the change of intention will apply. This rule applies to years of assessment beginning on or after 1 April 2018. Advance pricing arrangement (APA): Any Hong Kong resident enterprise, or a non-resident enterprise with a permanent establishment in Hong Kong, chargeable to Hong Kong profits tax and having controlled transactions, may apply to the IRD for an APA. Unless revoked, cancelled or revised, an APA issued is binding upon the IRD. This rule applies to years of assessment beginning on or after 1 April 2018. Statutory dispute resolution mechanism: A taxpayer can present a case for a mutual agreement procedure (MAP) (under double taxation arrangements made in relation to a territory outside Hong Kong with which double taxation arrangements have been made) or arbitration under a relevant tax treaty (or both). The IRD must give effect to any agreement reached with the other tax authority in relation to a MAP or arbitration. The Financial Institutions (Resolution) Ordinance23 (FIRO) and the Financial Institutions (Resolution) (Protected Arrangements) Regulation24 both came into force on 7 July 2017. The HKMA, the Insurance Authority and the SFC will be the resolution authorities in relation to the FIRO. Under the resolution regime, they are vested with a range of necessary powers to effect orderly resolution of non-viable systemically important financial institutions in Hong Kong such that risks posed by non-viability to the stability and effective working of the Hong Kong financial system can be mitigated while losses are imposed on the institution's shareholders and creditors, thereby minimising the risks to public funds. Under the FIRO, a resolution authority may initiate the resolution of a financial institution that is subject to the resolution regime if it is satisfied that Conditions 1, 2 and 3 (as described below) are met in respect of the financial institution. Condition 1 is that the financial institution has ceased, or is likely to cease, to be viable. Condition 2 is that there is no reasonable prospect that private sector action (apart from resolution) would result in the financial institution again becoming viable within a reasonable period. Condition 3 is that (1) the non-viability of the financial institution poses risks to the stability and effective working of the financial system of Hong Kong, including to the continued performance of critical financial functions, and (2) resolution will avoid or mitigate those risks. Further, there are five stabilisation options that a resolution authority may use: (1) transfer to a purchaser, (2) transfer to a bridge institution, (3) transfer to an asset management vehicle, (4) bail-in or (5) transfer to temporary public ownership. On 25 July 2018, the consultation conclusion on rules prescribing loss-absorbing capacity requirements for financial institutions (LAC Rules) was issued by the HKMA, after a two-month public consultation that ended on 16 March 2018. It is proposed that the LAC Rules should be enacted as subsidiary legislation under Section 19(1) of the FIRO. The major purpose of the proposed LAC Rules is to require financial institutions, whose failure could pose a risk to the financial system in Hong Kong, to have sufficient loss-absorbing capacity so as to facilitate the orderly failure of such institutions, should they reach the point of non-viability. Under the FIRO, the HKMA, as the resolution authority for the banking sector, has the power to 'bail-in' certain liabilities of a failing institution. The loss-absorbing capacity requirements ensure that financial institutions would have sufficient liabilities that can be readily bailed in by the HKMA, such that any future failure of a financial institution can be managed in an orderly manner that avoids disruption to financial stability and minimises the risk to public funds. The HKMA had responded to the respondent's comments in the consultation conclusion. On 25 July 2018, a set of draft LAC Rules was also issued by the HKMA for an industry consultation, with a consultation period running to 5 September 2018. Under the automatic exchange of financial account information (AEOI) regime, financial institutions will be required to identify financial accounts held by tax residents of reportable jurisdictions, collect the reportable information of these accounts and furnish the information to the IRD, which will share the information with the tax authorities of the AEOI partner jurisdictions annually. b adding 73 jurisdictions to the list of reportable jurisdictions (in addition to the two already included). On 2 February 2018, the Inland Revenue (Amendment) Ordinance 2018 (the IRAO 2018) was gazetted. The IRAO 2018 made technical amendments to certain provisions on AEOI to ensure it aligns with the Common Reporting Standards promulgated by the OECD and will come into operation on 1 January 2019. There is only one stock exchange – the SEHK – and one futures exchange – The Hong Kong Futures Exchange Limited (the Futures Exchange) – in Hong Kong, both of which are wholly owned subsidiaries of the HKEx. The SEHK operates and maintains a stock market in Hong Kong and is the primary regulator of stock exchange participants with respect to trading matters and of companies listed on the Main Board and Growth Enterprise Market of the Hong Kong stock market. The Futures Exchange operates and maintains a futures market in Hong Kong and is the primary regulator of Futures Exchange participants with respect to trading matters. At present, there are four recognised clearing houses in Hong Kong: Hong Kong Securities Clearing Company Limited (HKSCC), HKFE Clearing Corporation Limited (HKCC), SEHK Options Clearing House Limited (SEOCH) and OTC Clearing Hong Kong Limited (OTC Clear). HKSCC and SEOCH provide services for the clearing and settlement of securities and stock option transactions respectively, including trades and transactions effected on, or subject to the rules of, the Exchange. HKCC provides services for the clearing and settlement of transactions on the Futures Exchange, and OTC Clear provides services for the clearing and settlement of OTC derivatives transactions. Since 2011, the SFC has required all credit rating agencies (CRAs) and their rating analysts to be licensed for Type 10 regulated activity for providing credit rating services. Under the CRA regulatory regime, persons who provide credit ratings for purposes such as disseminating to the public or with a reasonable expectation that they will be so disseminated to the public, either in Hong Kong or elsewhere, are required to obtain a licence. As at September 2018, there are nine corporations holding an active Type 10 licence. During the past year, the SEHK has continued, through introducing and implementing new proposals, to enhance the reputation of the Hong Kong capital market and the quality of listed issuers. This includes companies with WVR structures now being permitted to seek listing, and the amendment of the Hong Kong Listing Rules to tighten regulatory measures to enhance the quality of listed issuers. Those measures include the publishing of various forms of guidance in respect of backdoor listing, the upgrading of certain corporate governance obligations and heightened enforcement action against misconduct by listed issuers. Looking to the future, it is expected that the regulatory authorities will continue to take a robust approach to strengthening Hong Kong's status as a leading international financial hub by implementing policies and schemes to facilitate the interaction between Chinese investors and global investors, thereby maintaining Hong Kong's competitiveness in the global capital market. 1 Vanessa Cheung is a corporate partner of Peter Yuen & Associates in association with Fangda Partners. 2 Source: China Central Depository & Clearing Co, Ltd and Shanghai Clearing House websites. 8 Securities and Futures (OTC Derivative Transactions – Reporting and Record Keeping Obligations) Rules (Chapter 571AL of the Laws of Hong Kong). 9 Securities and Futures Ordinance (Chapter 571 of the Laws of Hong Kong). 10 Securities and Futures (Open-ended Fund Companies) Rules (Chapter 571AQ of the Laws of Hong Kong). 11 Securities and Futures (Open-ended Fund Companies) (Fees) Regulation (Chapter 571AR of the Laws of Hong Kong). 12 Companies Ordinance (Chapter 622 of the Laws of Hong Kong). 13 Tang Hanbo v. SFC and others  1 HKLRD 272, 8 December 2017. 14 'Court dismisses challenge to SFC's search warrant and provision of information to Mainland regulator', Securities and Futures Commission (SFC), 8 December 2017. 15 SFC v. Qunxing Paper Holdings Co Ltd and others  1 HKLRD 1060, 6 February 2018. 16 'Court orders Qunxing and former directors to compensate investors over disclosure of false or misleading information', SFC, 7 February 2018. 17 Moody's Investors Service Hong Kong Limited v. SFC  3 HKLRD 565, 8 June 2017. 18 'Court of Appeal upholds SFAT's ruling on SFC's disciplinary action against Moody's over Red Flags Report', SFC, 8 June 2017. 19 'Court of Appeal dismisses leave application of Citron Research's Andrew Left', SFC, 13 January 2017. 20 'SFC's regulatory action halts ICO to Hong Kong public', SFC, 19 March 2018. 21 'SFC reprimands and fines Citigroup Global Markets Asia Limited $57 million for sponsor failures', SFC, 17 May 2018. 22 Inland Revenue Ordinance (Chapter 112 of the Laws of Hong Kong). 23 Financial Institutions (Resolution) Ordinance (Chapter 628 of the Laws of Hong Kong). 24 Financial Institutions (Resolution) (Protected Arrangements) Regulation (Chapter 628A of the Laws of Hong Kong).